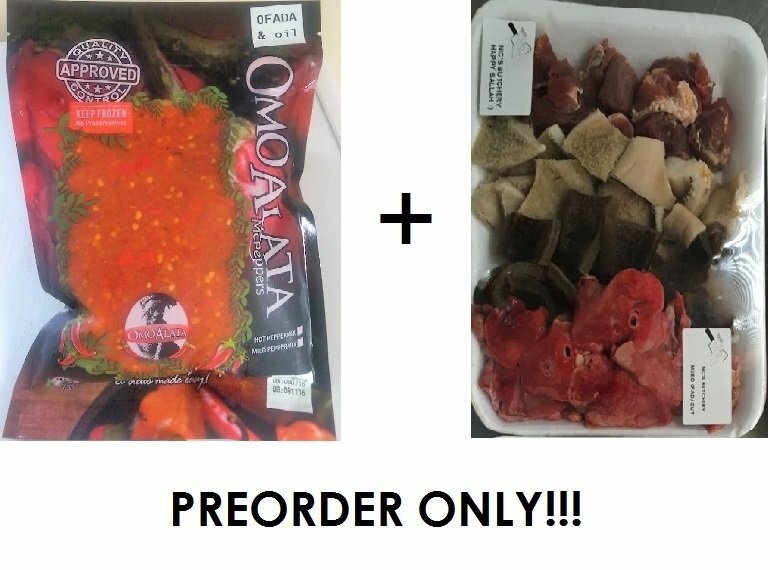 Ofada Combo (peppermix + assorted meat) PREORDER ONLY!!! Our delicious ofada peppermix + oil with the convenience of fresh assorted meat cuts (beef, shaki, ponmo and liver). Ofada complete sauce made easy!! !